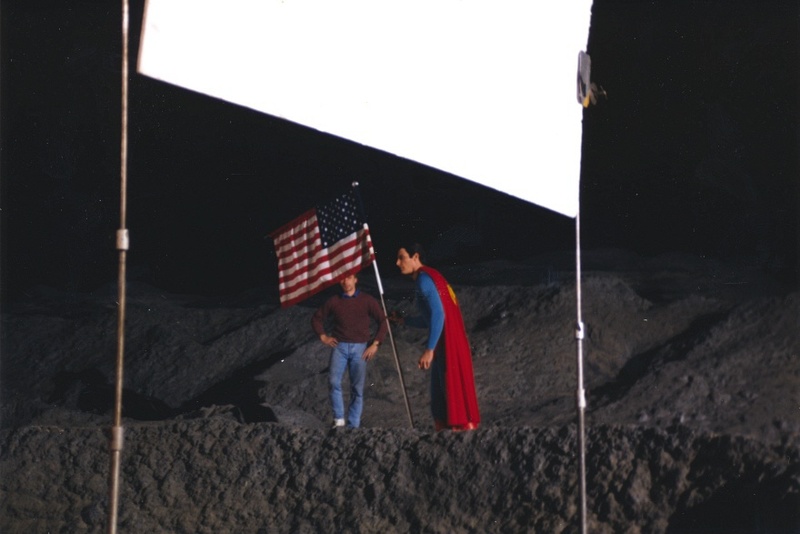 Another SUPERMANIA behind the scenes exclusive, this time from the Moon set at London’s Elstree Studios during the shooting of Superman IV: The Quest For Peace in 1986. 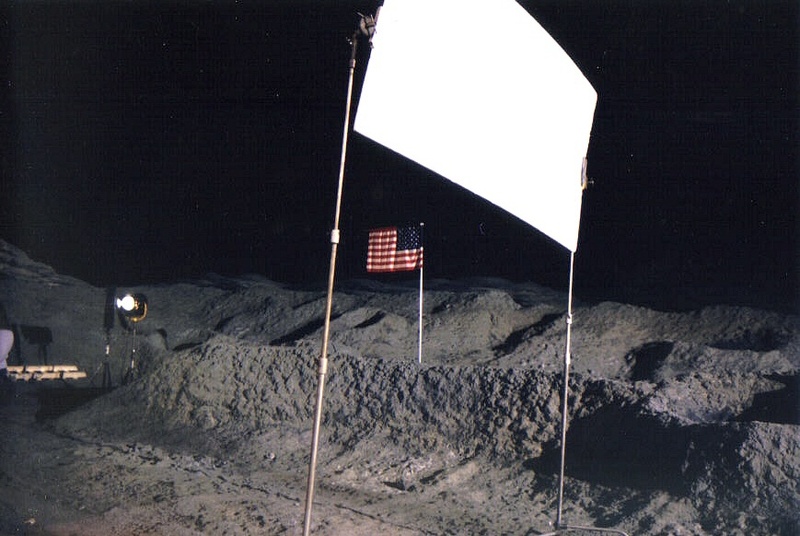 Second-unit director Christopher Reeve presides over the setup for Superman’s visit to the site of the lunar landing having just disposed of his foe Nuclear Man. 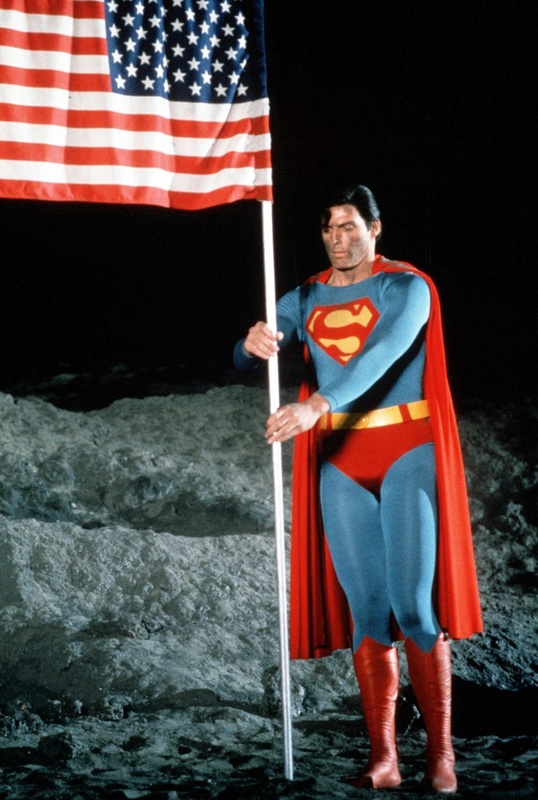 In what was originally conceived and written as an epic, climactic battle between titans, this sequence, like so many more before it, would be compromised by budgetary restrictions. Though the action was well-staged the spectacle would be hindered by the obvious black drapes in the background masking the stage wall. 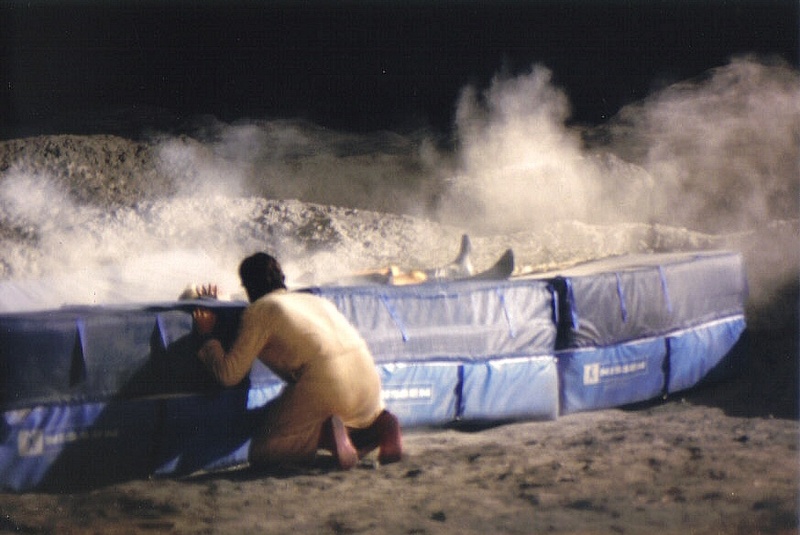 Many of these hideous oversights (such as wire removal) would be fixed by Warner Brothers for the Deluxe Edition Blu-ray release in 2011 but even back in 1987 audiences were shocked by the quality of the effects compared with previous entries. I watched the ET segment when it originally aired. Was so looking forward to this film.